Sold by FLASH and sent from Amazon Fulfillment. 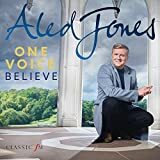 Celebrate the festive season with Aled this year, as his latest album Aled Jones: One Voice at Christmas is released on the Classic FM label after the huge success of this year's best selling, One Voice. Listen again as Aled duets with his younger self in the second instalment of this unique concept. 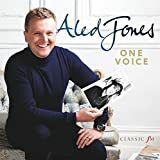 The discovery of the last ever recordings Aled made as a boy have united his past and present voices, in a 13-track album featuring some of the nation's favourite Christmas songs. 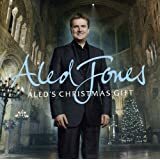 Rearranged for 2016 by Howard Blake, Aled's Christmas smash hit Walking in the Air leads an album of traditional classics such as O Holy Night and O Come, O Come, Emmanuel. Other seasonal favourites including Away in a Manger, In the Bleak Midwinter and Have Yourself a Merry Little Christmas. In a touching collaborative piece, Aled sings the Little Drummer Boy with the late Sir Terry Wogan. The album also includes a brand new setting of It Came Upon a Midnight Clear composed by Howard Goodall, and a duet with guitarist John Williams on Silent Night. 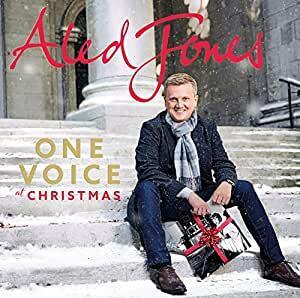 Released on 25th November on the Classic FM label, One Voice at Christmas reminds us why Aled is one of our most loved treasures - and voices! 5.0 out of 5 starsGreat Cd, with the added bonus of Terry Wogan on track 13! Frankly it is worth getting the cd just to hear Terry's voice, but it really is a lovely cd and well worth adding into the festivities. The mix and match of old and new voices is very well done. Track 13 is my favourite and may well get worn out! 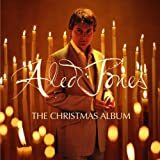 We all went moist listening to Aled knocking these wonderful carols out one after the other - A Wonderful Christmas Album. 5.0 out of 5 starsBRAVO ALED! Our CD arrived this morning and so has Christmas!A truly lovely new arrangement of Walking In The Air.... In The Bleak Midwinter, O Come O come Emmanuel are particular favourites and how wonderful to hear Sir Terry's voice again too.BRAVO Aled! 5.0 out of 5 starsOne of the most beautiful recordings I've ever heard. Worth buying for O Holy Night and The Snowman alone - though all the other tracks are lovely too. 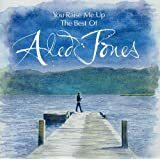 There is something indescribably beautiful about hearing Aled as a boy with Aled now, the harmonisation is like nothing you've heard before. This is not just some old bargain basement album to stick on as background music to make it all feel a bit more Christmassy. This is something to listen to, ideally on a very good hifi in a quiet room, and to wonder at the perfection of the voice, the breadth of the vocal range, the beauty of the result. 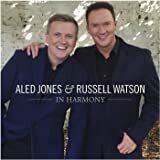 Another duet of present day and young Aled - and equally as lovely as the "One Voice" Album issued in April. These young and "old" duets are unique; and this CD is absolutely perfect for the Christmas season!